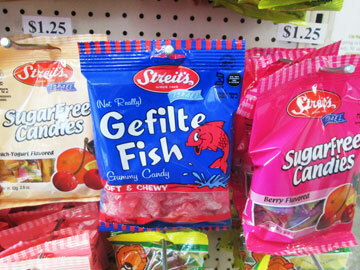 Matzolah and Gefilte Fish Gummies? I know that none of these Passover-friendly products are traditional in any way, much less Sephardic, but in the weeks leading up to Passover I thought it an interesting thing to point out since it shows how popular and commercially profitable the holiday has become. I just read a brief blurb in the New York Times mentioning yet a new Passover-friendly product on the market called “Matzolah,” a Passover-friendly version of granola, and even at the very traditional Streit’s matzah factory on the Lower East Side can you find Gefilte Fish gummy candies. Overall I think that it is probably a good thing since it promotes a holiday that we don’t want to forget (and by its nature is meant to be retold, promoted, and even reenacted in some way), but I am always wondering if too many of these products detract from the true spirit of the holiday, which is to do “without” all of these things that we normally can eat all other days of the year. How do others feel about the addition of all of these products? Do you think that it helps individuals to observe the holiday more, or does it water it down too much from the message? I welcome your comments! I really dislike those faux-Pesach dishes; as I dislike vegetarian faux-meat dishes. I believe in real food, prepared with love and respect. Hi Jennifer. I agree that these products – and the ersatz soy sauce and mustard and the matzo meal rolls that many people make – detract from Pesach. While I’m all for some ingenuity when cooking for Pesach, I think that doing without stuff you can eat the rest of the year is part of the spirit. “Why is this night different from all other nights?” How about, “Why is this chag different from all other chagim/days?”. Interesting question, indeed. If we encourage our kids and families to eat WHOLE and PURE foods all year, I am concerned that the shift to processed foods during the Pesach week gives a mixed (and unhealthy) message. 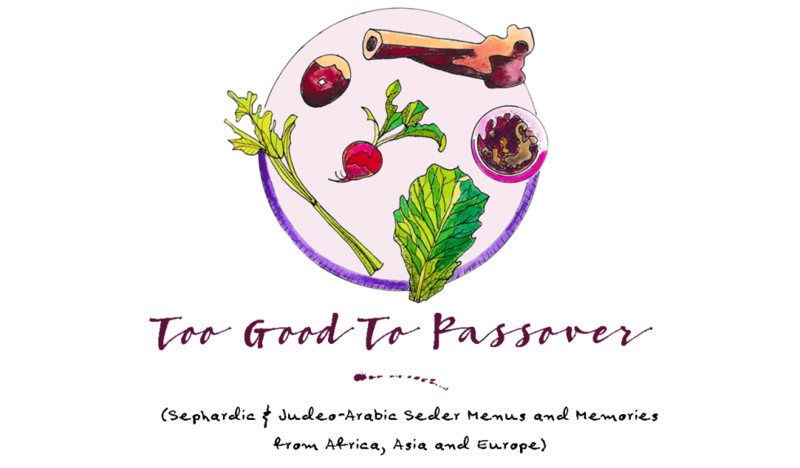 With so many kosher bloggers promoting easy and convenient Pesach recipes, I would hope that families can shift to an altered way of eating for one week without turning to packaged and adulterated foods. Let’s share our resources for information and great ideas instead of turning to brightly colored, chemical ridden convenient “treats”!